We do not want to come in from out of town. It is going to be a waste of time. so they will give up. We want to crush them in litigation. The notion that mediation makes a client look “weak” is an unfortunate gut reaction, typically fueled by the misconception that pounding the table and fighting your adversary on every issue is the only way to show strength in litigation. Sure, there are circumstances where litigation is necessary and a mediated resolution is impossible, but those situations are few and far between. Let us explore why it is almost always prudent to mediate—especially for budget-conscious corporate counsel trying to resolve disputes most efficiently (i.e., cost-effectively) so they and their company can focus on accretive business. 1. You Might Actually Resolve the Dispute. First (and foremost), you might actually settle the case and save lots of dough in unnecessary and unproductive litigation expense. That would be good, right? Look, we all know that litigation is often time-consuming, distracting, expensive and unpredictable. Even if you are convinced you have a “slam dunk” case, elephants sometimes fly in courtrooms (and when they do, it can vastly alter—and increase the cost of —that case you thought was definitely a winner). Mediation gives you a chance to resolve the dispute in a much more controlled environment with a smart mediator you have a hand in selecting. A savvy mediator typically redirects the parties away from unproductive competitions over litigation issues and strategy and towards consideration of a mutually beneficial business solution. Indeed, if mediation happens quickly enough (i.e., before the parties become entrenched in litigation posturing), it is possible—even likely perhaps—that the settlement will include the parties doing productive and mutually profitable business together going forward. 2. You Always Learn Things (and That Is Really Good). Even if mediation does not result in settlement right away, you never leave a mediation empty-handed. Going through the mediation process educates you (hopefully early on) about the strengths and weaknesses of your position, as well as those of your adversary. A good mediator is an expert at helping both sides to most sincerely and realistically evaluate the case—both from a legal perspective and from a practical perspective. That analysis provides critical information as to what a fair settlement might be. This information is always valuable to corporate counsel in setting strategy and managing expectations going forward. The very process of mediation lends itself to this. In trying to push each side toward settlement, the mediator—as a neutral third-party (often a former Judge)—will flag the legal and practical obstacles each side will face should the case continue and will provide valuable insight into how those weaknesses may play out in front of a Judge and/or jury. A neutral assessment of the viability of the claims and defenses in the early stages of the case provides corporate counsel with the opportunity to most effectively manage the case (and the expectations of his or her business people) and be in a much better position to determine strategy—for example, whether to recommend settlement or to recalibrate litigation tactics going forward. 3. In the Immortal Words of the Late, Great Philosopher Yogi Berra, “It Ain’t Over ’til It’s Over.” Even if the case does not settle right away, a good mediator is persistent and stays on the matter. He or she often (indeed, almost always) remains an independent and trustworthy sounding board for both sides. Many times after “unsuccessful” initial mediations sessions, we have reached out to the mediator and so have our adversaries. This means there is always the possibility that the matter will settle at a later point in the litigation. In our experience, we have found that parties who have already had at least one mediation session—even if “unsuccessful”—are often more likely to return to mediation at the mediator’s invitation (or after tiring of throwing more money at the litigation) because they trust the mediator and the process, have a sharper awareness of the strengths, weaknesses and settlement value of their case and, in many instances, because opposing counsel have had an opportunity to establish a productive working relationship. 4. Suggesting or Agreeing to Mediation Is Not Weakness. It Is Strength. This one really is our favorite. It is the one where we scratch our heads, furrow our brows and remind ourselves that when really smart people get really angry, they become their own worst enemy. (Typically, the clients who tell us mediation is a sign of weakness are the same ones who will not attend a settlement meeting unless it is at their office and are the same ones who write us emails thanking us for convincing them to give mediation a try). The goal of litigation should not be to win an award for being the best posturer. It should be to reach the most efficient resolution. Mediation is often the best route to that result. In this context, it is confounding why anyone would think it demonstrates weakness when it is actually just the opposite. In fact, suggesting or agreeing to mediation sends a clear signal that you are ready to persuade an intelligent and experienced neutral that your case is better than your adversary’s. Who would not want to seize that opportunity? And remember, mediators (unlike Judges) have manageable dockets and can spend the time to understand the nuanced arguments that might cause elephant lift-off in a courtroom. In the end, budget conscious corporate counsel are, and should always be, looking for ways to save—and make—money. Given the reality that almost every case settles before trial anyway, it is in everyone’s best interest to reach that settlement as early in the process as possible. This is especially true for in-house corporate counsel, who have the unenviable task of having to explain to management how the company could possibly have spent so much money on a litigation for the privilege of ultimately settling a case on terms equal to or worse than those that could have been obtained early on (and at a much reduced cost). Mediation is an excellent way to try to avoid that nightmare. Anna M. Hershenberg has recently joined CPR as its Vice President, Programs and Public Policy. John R. Goldman is a litigation partner at Herrick, Feinstein LLP, Anna’s former firm. This article was originally published in volume 33, number 3 of the Winter 2015 publication of the Corporate Counsel Section of the New York State Bar Association. It has been republished with permission. I conducted a mediation several years ago between two companies in the healthcare field, one a small high-tech company (“Company A”) and the other a much larger conglomerate. The smaller company had invented certain cutting edge technology (“Technology A”), which held great promise but required a substantial investment of money and personnel (scientists and engineers), each of which Company A had little of, to finish the R&D work and bring Technology A to market. Company A had entered into a joint development agreement with the conglomerate to conduct the R&D work and, if possible, commercialize the technology, which Company A hoped would be used in some of the conglomerate’s products. The agreement provided that if Technology A were commercialized and used in the conglomerate’s products, the conglomerate would pay a running royalty to Company A. The few scientists and engineers of Company A worked closely with the scientists and engineers of the conglomerate and disclosed significant confidential information to them to aid in the R&D work. The conglomerate also loaned substantial capital to Company A (covered by a promissory note) because Company A was operating on a shoestring. The agreement contained a stepped dispute resolution clause: in case of a dispute, executives of the two companies were to confer to try to resolve the dispute; if that did not work, they would go to mediation; and if that did not work, to arbitration. A year or two after entering into the joint development agreement, the conglomerate acquired a small company (“Company B”), which had developed its own technology (“Technology B”), which, with sufficient and successful R&D work, could be used instead of Technology A in the conglomerate’s products. Both Technology A and Technology B were also potentially useful in third-party products, not just the conglomerate’s products. Sometime after acquiring Company B, the conglomerate terminated the joint development agreement, requested payment on the promissory note (as it had the right to do) and eventually started marketing products incorporating Technology B. Company A accused the conglomerate of purposely trying to harm Company A and prevent commercialization of Technology A. The actions of the conglomerate to which Company A pointed included acquiring Company B, terminating the joint development agreement, demanding payment of the debt, and using Company A’s confidential information to help develop and commercialize Technology B. Company A said it would now have to try to raise money to pay the debt and at the same time would have to try to find a new R&D partner, since it still could not afford the R&D work required (nor did it have sufficient personnel) to commercialize Technology A. Company A said commercialization of Technology A would now be substantially delayed or altogether prevented and that it might have to cease operations. It noted that the conglomerate would not have to pay any royalty for using Technology B in its products because the conglomerate owned that technology through its acquisition of Company B and, if the conglomerate wished to do so, it could license Technology B to third parties without worrying about competition from Technology A, since Technology A was not yet ready to be commercialized (and might never be). After reviewing the two confidential mediation statements and speaking ex parte with each side prior to the mediation session, it seemed settlement was possible but getting there would not be easy. There were about ten people from each side present at the joint mediation session: Company A had business people, investors, technologists, and outside counsel; the conglomerate had business people, in-house lawyers, and outside counsel. There were no technologists from the conglomerate present. I suspected this mediation was make or break for Company A; I doubted it had the money to litigate against the conglomerate. Each side made a short, polite opening statement, and we then split up for caucus sessions. I started with the Company A team. It was the first time I was speaking in a caucus session with anyone on the Company A team other than its outside counsel. Company A did not mince words: it was positive that all of the conglomerate’s actions had been part of a long-term plan to harm it and delay commercialization of or kill Technology A. Everything it said about the conglomerate was laced with anger. I went to see the conglomerate team. The conglomerate felt it had done nothing wrong. That was the same message that had been conveyed to me by its outside counsel during my discussions with them before the mediation session. One of the conglomerate’s in-house counsel who was present had been involved with the joint venture when he was a junior member of the conglomerate’s legal department (he was now significantly higher up in the department). I asked what he had done with respect to the joint venture, and it became apparent he was a goldmine of information. He had participated in drafting the joint venture agreement, had helped “administer” that agreement for the conglomerate, knew about the substantial money it had spent and R&D efforts its technologists had made on Technology A, knew (at a high level) about the technical problems that had been encountered, and knew (at a detailed level) how the decisions to abandon the technology and terminate the agreement had been made. He also knew about the “wall” the conglomerate had put in place between its people working on Technology A and those working on Technology B. During the pre-mediation session ex parte discussions, I had asked each side that, if possible, people familiar with the joint venture relationship be at the mediation, but the depth and breadth of this individual’s knowledge was more than I could have hoped for. I asked if he would feel comfortable sharing some of this information with the other side, and I also asked lead in-house and lead outside counsel if they would feel comfortable with his doing so. They asked why; I said I thought it might be helpful, added that I didn’t see any downside (since all the information would likely be disclosed during discovery if mediation didn’t work), and received yesses from everyone. Then I went to see the Company A team. I told them I had had a helpful discussion with the other side and asked if they would be interested in hearing some information directly from the other side (since I could never do as good a job as the conglomerate’s people could of imparting the information). The Company A team said it saw no downside, and I asked both sides to reconvene for a joint session. It was less than two hours since the original joint mediation session had started. I asked the in‑house counsel who had given me all the information to address the other side. I said that in particular what might be helpful for the other side to hear was the history of the conglomerate’s effort to develop Technology A, the problems it had encountered, and how it had come to make the decisions to abandon Technology A and terminate the agreement. The conglomerate’s in-house counsel began by recounting the history of his involvement and then turned to the R&D efforts that had been made and the money that was spent. At first, the Company A team just listened but soon started asking questions, which the in-house counsel answered without hesitation. I didn’t speak again until there seemed to be a logical break point, at which time I suggested we have lunch. After lunch, he was asked more and more questions by a few members of the Company A team, some rather pointed. Others from the conglomerate’s team started to chime in. It was a lively, sometimes loud discussion. I said little except to suggest breaks when I felt it was appropriate and to remind everyone it would be better if people spoke one at a time so everyone could hear what was being said. We broke for dinner and agreed to reconvene the next morning. The next morning, the Company A team started by discussing what it would like to see in a settlement. Bargaining ensued. Agreement was reached late afternoon, and a heads of agreement (which provided for subsequent negotiation of a comprehensive agreement) was negotiated and executed, after which we all shook hands, each side thanking the other for participating and congratulating it on reaching agreement. It was then that the key decision-maker of Company A shared with me and with the key decision-maker of the conglomerate the following. At the end of the first day, while the Company A team was returning to its hotel, he said to his team that in view of what they had heard from the conglomerate’s in-house counsel who had spoken at length and provided answers to their questions, they might have been wrong about what had happened and about what they had been sure was the conglomerate’s bad faith. His team sat at dinner that evening talking about what they had heard and came to agree with him. Once that happened, their feelings of anger dissipated and they started to focus on how to resolve the dispute. We were lucky to have in attendance a smart individual from the conglomerate’s side who had sufficient first-hand knowledge of the entire situation and could present information (including answering probing and pointed questions from the other side) in a non-confrontational, believable way. There is no way of my knowing, but I think it would have been difficult, if not impossible, to have reached settlement at that time if the anger Company A felt and had expressed to me so strongly had not been removed. Stephen P. Gilbert (www.spgadr.com) is a CPR Distinguished Neutral, CEDR Accredited Mediator, American Arbitration Association Commercial Master Mediator, Fellow of the College of Commercial Arbitrators, Fellow of the Chartered Institute of Arbitrators, Fellow of the American College of e-Neutrals, Member/Panelist of the Silicon Valley Arbitration & Mediation Center, and was a computer programmer, a chemical engineer, and a patent attorney. On December 6, 2016 CPR’s Young Attorneys in Dispute Resolution (“Y-ADR”) and New York International Arbitration Center (“NYIAC”) hosted a seminar in New York City. The event featured a panel discussion on hot topics in international dispute resolution in 2016, as well as the mock challenge of an arbitrator under the CPR Rules for Administered Arbitration of International Disputes (“CPR Rules”). The mock exercise was based on a hypothetical case involving the challenge of an arbitrator after a draft award had been circulated based on his alleged connection to the officer of the winning party, as well as on the views he expressed in his prior publications. The arbitrator in question served on a three-member panel which rendered a unanimous award in favor of one of the parties. The draft award signed by all three arbitrators was circulated to the parties by the chairman of the tribunal, and indicated that it would become effective if no comments were received from either party within 10 days. The award was not delivered by CPR as required under its Rules. The losing party filed a request to correct the award within 20 days of the date of the Award, as provided for under Rule 15.6 of the CPR Rules. It simultaneously challenged one of the arbitrators. The challenge alleged “evident partiality” based on the fact that the arbitrator had been connected to the winning party’s CFO on LinkedIn for four years, and the two of them served on several committees of the college they had both graduated from. Another ground for the challenge was the alleged issue conflict, based on the arbitrator’s prior publications on the legal questions raised in the arbitration. 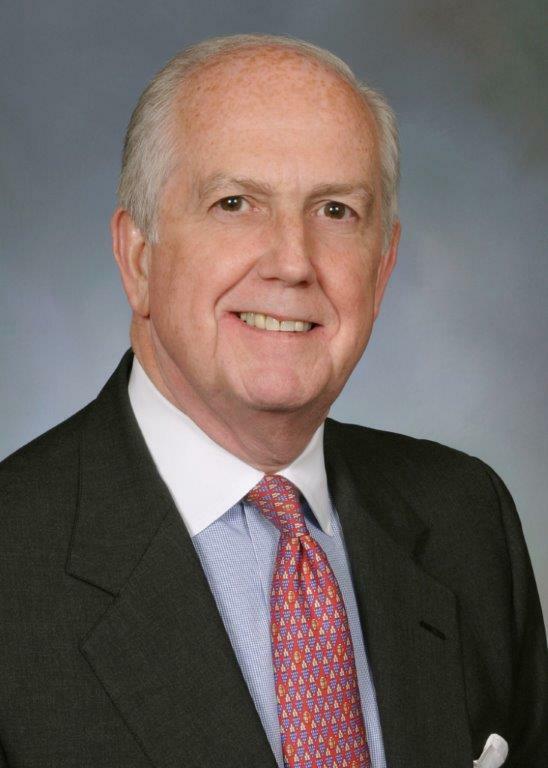 The mock challenge was considered by a panel of three CPR Challenge Review Board members, which included James H. Carter of WilmerHale, Lawrence W. Newman of Baker & McKenzie, and Hon. Curtis E. von Kann (Ret.). Anna Tevini of Shearman & Sterling LLP argued the case on behalf of the challenging party, while Ank Santens of White & Case LLP represented the party opposing the challenge. The challenging party argued that the challenge was admissible, and that the challenge should have been granted, as the circumstances of the case allegedly gave rise to justifiable doubts as to the arbitrator’s impartiality. The challenge was based on Rules 7.5 and 7.6 of the CPR Rules, as well as on the provisions of the CPR Challenge Protocol. The counsel stated that the challenging party had timely filed the challenge within 15 days of the time it had become aware of the respective circumstances, as provided for in the CPR Rule 7.6. She explained that submitting the challenge at the late stage of the proceedings was due to the arbitrator’s failure to disclose the relevant facts, which he allegedly had a duty to do. She also pointed out that, although the challenge was filed after the 10-day period for commenting on the draft award had lapsed, that did not make the award effective and the challenge – inadmissible, as the latter was submitted within the 20 days granted under CPR Rule 15.6 for seeking corrections of the award. On the merits of the challenge, the counsel argued that the arbitrator’s connections to the other party’s CFO on LinkedIn and via college committees, his prior publications expressing views favoring the winning party’s position in the arbitration, and his failure to disclose these circumstances gave rise to justifiable doubts as to his impartiality. She referred to the 2004 Code of Ethics for Arbitrators in Commercial Disputes to support the argument that even the “appearance of partiality”, not necessarily actual partiality, satisfied the justifiable doubts standard. The party opposing the challenge argued that the challenge was inadmissible, because the challenging party had been able to learn about the relevant facts from public sources well before the time of the challenge. The counsel referred to U.S. case law, the practice of England, France and Switzerland, as well as to the provisions of the American Arbitration Association and the CPR Rules applicable to challenges to prove that the right to challenge had been waived. She further argued that the CPR Rule 7.5 “justifiable doubts” standard for arbitrator disqualification was not satisfied. The counsel referred to the IBA Guidelines on Conflicts of Interest in International Arbitration, which put arbitrators’ social media contacts on a “green list” and as such do not create even an appearance of bias, and thus do not require disclosure by an arbitrator. The same is true about prior expression of opinion on an issue arising in an arbitration, where such opinion does not focus on the case at issue. Finally, counsel argued that the arbitrator had no duty to disclose the facts at issue, and, in any event, non-disclosure was not an independent ground for disqualification. After the oral arguments, the members of the CPR Challenge Review Board panel deliberated in front of the audience. They concluded that the challenge should be denied, as none of the facts referred to by the challenging party created grounds for disqualification of the arbitrator. The mock was an interesting exercise which not only focused the attention of the attendees on current legal questions, but also demonstrated how the challenge of an arbitrator under CPR administered arbitration works in practice. Stay tuned for other upcoming Y-ADR events in 2017! The latest survey released by Queen Mary University of London, in collaboration with Pinsent Masons (“the Survey”), highlights the growth of ADR in Technology, Media and Telecommunications (TMT) disputes. The Survey records 67% of the total disputes which are IT related. Foreshadowing this important development, in 2005, CPR’s IT Committee released its master guide titled “Avoiding and Resolving Information Technology Disputes” which provides detailed information about resolution of IT disputes with the help of ADR mechanisms. The master guide’s 7 chapters provide different methods for addressing IT disputes from avoiding them in the first place to resolving them by arbitration. The first chapter gives companies a head start to set things in place prior to dealing with external parties. The chapter provides cues on how companies can assess, prioritize and define their goals and identify the possibility of dispute in the long run in order to plan their resolution techniques right from the beginning. Chart 5 of the Survey states that 61% of the disputes related to IT systems are caused due to delay. The survey also mentions that such delay may be caused due to several attributing factors rather than one cause. Chapter 2 of the master guide suggests practices which companies may adopt to avoid delay. The chapter which is titled “Avoiding Disconnect Between Negotiation and Implementation” describes ways in which companies can formulate healthy negotiations with other parties thereby building a strong working relation with them. The chapter also focuses on how parties can develop a good understanding of the project as well as their own interpersonal relations which could ultimately lead to limiting the risk of contracting any disputes. While Chapter 2 discusses building strong relations, Chapter 3 encapsulates the technique of building a strong project foundation based on strong partnerships. The chapter highlights the advantage of building partnerships at an early stage and describes methods to sustain such partnerships once they are formed. Also, the chapter offers interesting suggestions on conducting workshops with stakeholders to create synergistic relationships. Often guidelines are limited to dos and don’ts of a process which are purely theoretical in nature. However, Chapter 4 of the master guide carries out case study of an IT dispute which enables companies to understand the practical implications of the master guide. The case study is an interesting concoction of facts and analysis with suggestions from the IT professionals who comprised the CPR IT Committee. Thus, the master guide provides a well-rounded view of IT disputes and the complications involved therein. The Survey states that 50% of the respondents prefer mediation followed by 47% who prefer arbitration. Hence, there is an earnest intention on the part of the companies to resolve disputes without resorting to courts. However, it would be effective to resolve disputes at a preliminary level. Chapter 5 of the master guide speaks about the use of hierarchical positions to defuse disputes at an early stage. The chapter also emphasis on the need for protecting stakeholders, thereby maintaining a dispute-free atmosphere. Chapter 6 introduces the concept of appointing a standing neutral. The chapter describes a standing neutral as someone who is appointed as a neutral in advance of any conflict. The appointment of a standing neutral could save the parties a substantial amount of time and cost in a way that the parties would get neutral assistance immediately on detecting a dispute without having to search for it when the dispute arises. It is understandable that in certain cases it is impossible to avoid disputes despite adopting prevention mechanisms. Proliferation of social media is an example of unavoidable disputes. The Survey recorded 93% disputes arising out of social media attacks and 54% disputes arising out of traditional media attack. Chapter 7 of the master guide describes the dispute resolution program which companies may adopt if avoidance strategies do not work. The Survey points out the importance of Dispute Resolution (DR) policies which companies adopt. It stated that only 25% of the respondent companies did not have a DR policy. Thus, Chapter 7 could be helpful for companies which fall within the 25% bracket and could give the remaining 75% some tips for improvement, if required. The chapter also introduces the CPR Rules on Expedited Technology Dispute Resolution which includes rules for both arbitration and mediation proceedings. The CPR master guide was introduced long before the introduction of the Survey. However, from the Survey it is quite evident that the issues revolving around IT disputes that were discussed in the manual remain to be a cause of concern, even today. Hence, the master guide proves to be an effective tool for addressing such problems and acts as a catalyst to innovate and introduce mechanisms for resolving IT related disputes. Meghna Talwar is a fall intern at CPR. To order a copy of CPR’s Master Guide, “Avoiding and Resolving Information Technology Disputes,” click HERE. And be sure to browse our many other publications in The CPR Store HERE. International Institute for Conflict Prevention and Resolution Chairman John Kiernan recently told the Association for Conflict Resolution of Greater New York 2016 Annual Conference that conflict resolution practices had made great strides, and the processes and practitioners are widely used. But he warned that in some ways, they are still facing not only growing pains, but even issues of general acceptance. Kiernan, who also is president of the New York City Bar Association and co-chairs the Litigation Department at Debevoise & Plimpton, where he is a partner in the New York office, addressed the June 16, 2016, luncheon following ACR-GNY’s presentation of an ADR Achievement Award to Kiernan for his work in the field. The Association for Conflict Resolution of Greater New York is the New York City metropolitan area chapter of the national, 7,000-member professional association of neutrals, educators, and others involved in the conflict resolution field. Its membership includes professional and volunteer mediators, government employees, lawyers, arbitrators, environmental public policy specialists, community and consensus-building facilitators, ombuds, educators, students, and others. “It’s a pleasure to have this opportunity to gather and break bread with this impressive collection of ADR practitioners and fans. In the presence of dispute-resolvers like the folks in this room, advocates like me can practically feel the ‘adversarial-ity’ drain right out of us. If we can just infuse our clients, our clients’ adversaries and their lawyers with the same peace-mongering hormones, maybe we can get something accomplished. “Universal buy-in remains held back by shortcomings in individual participants’ particular experiences with ADR efforts; by disputants’ understandable preference for winning over compromise so long as winning seems potentially achievable without intolerable expense; by institutional or personal priorities that cause litigants to feel a need for a judicial resolution, and by a wide array of cultural sensibilities among disputing parties that can be deeply felt and are hard to shake. “That sensibility hasn’t disappeared, and by the way sometimes it’s exactly correct. But too many of us have seen too many disputes resolved through mediation, sometimes after efforts at bilateral negotiation have gone nowhere, for the categorical form of this view to feel like the reflexive majority sensibility today. “Instead, it now feels as though discussion of mediation or some other form of ADR will be part of the vocabulary attached to a big percentage of disputes, often at multiple different points in the dispute. “To the extent that ADR partisans want to claim a universally accepted new paradigm about how disputes should be resolved, though, that might be a little more self-congratulatory than the objective evidence suggests. In lots of contexts, at least absent court mandate, mediation remains exceptional rather than normal. “Some of the best expansions of mediation have occurred because particular messes involved too many parties and too many different subgroups that had to sort out their own separate side agreements for a normal bilateral settlement negotiation to seem even potentially workable. “Some mediations have worked simply because mediation created a process for compelling the personal attention of key business decision-makers who, unless scheduled and directed to sit in a room until a deal got negotiated, otherwise were too susceptible to getting distracted by other demands to focus as needed on the hard work of negotiating a resolution. “Sometimes parties are drawn to ADR because they just plain need a decision so they can move on, and because they can’t get what they want from courts in a satisfactory fashion or acceptable timetable. That certainly seemed to be a big factor in the ADR boom in California that ran distinctively ahead of East Coast practice in the late 1980s and early 1990s, for example. “Or sometimes the parties, unable to agree on anything else, have been able to agree that they simply couldn’t stand that such a large percentage of the pool of money available to resolve a dispute was being paid to litigators rather than to the settlement pot. “In some contexts–particularly ones where the plaintiffs are individuals who feel personally aggrieved and the defendants have no principled objection to paying something or taking other formal actions if that will enable them to achieve peace–courts and other bodies have also seen that procedures giving claimants an outlet to tell their stories and then negotiate an early settlement can have a high success rate if the narratives get managed effectively and the mediators do their jobs well. “These increasingly popular sources of resort to ADR are important. Having ADR available in these circumstances significantly advances the cause of achieving workable resolutions of disputes at tolerable costs. “But before we over-celebrate, it’s worth recognizing the continuing ways that mediation and other forms of ADR remain in their relative infancy, with major distances yet to travel, in both the commercial marketplace and general public sensibility. “We can take as a given that many people who bring lawsuits, and most people who are sued, correctly view the lawsuit as a problem that needs to be solved, as to which litigation to a final resolution is only one of a wide range of potential outcomes. Litigants uniformly want to win their disputes, but tend to recognize that if the case can’t be resolved or transformatively narrowed by an early dispositive motion, litigation to final judgment will likely be the most expensive possible mechanism for getting the dispute resolved. “So if you set aside the important set of cases that seem readily susceptible to an early dispositive or narrowing motion, and accept the general starting reality that most litigations will settle instead of getting litigated to final judgment, and that expenditure of litigation dollars before any negotiations will not always significantly alter the risk-discounted value of the dispute or the price of settlement, that should objectively lead the most thoughtful participants in the process to certain kinds of pragmatic thinking and conduct. 1. How often is your first approach in a new litigation, as a matter of agreement between litigator and client, to take an immediate deep dive into the merits as necessary to develop, at the very outset of the dispute, your best truly objective assessment of the strengths and weaknesses of the claims, the probability of success and failure, and the range of possible outcomes? For most disputes, the most common answer would probably be more often now than a decade ago, but still not very often. 2. How often do clients communicate by words or body language, or do outside litigators develop on their own, the strong sense that the client wants its litigators to be “true believers” in its position, such that no matter how the client nominally asks for the lawyers’ assessment, provision of truly objective assessments of the dispute’s merits and risks or fully candid discussion about the expected range of outcomes or the advantages of early consideration of settlement carries a major risk of damaging the client’s confidence in the lawyer’s expected zeal as an advocate–or maybe even of preventing the lawyer from getting hired? 3. When lawyers are asked to advise on disputes challenging the conduct of particular individuals within an institution, how rigorously does the client work to separate the decision-making regarding the dispute from the understandable instinct of the attacked individuals to defend their conduct, so that the risks are evaluated objectively? 4. How often do either outside or in-house lawyers think that the time would be ripe to begin exploring settlement in a litigation–in that further litigation will not likely change the settlement price by an amount exceeding the costs of that litigation–but that they can’t yet do so with any force because the ultimate business client is not ready to think in those terms? On the flip side, how often do plaintiffs’ lawyers approach mediation with the view that their goal is not to settle but to establish a floor of commitment by the defendant that can become a starting point for negotiations further down the line? “In the arbitration world, meanwhile, how many of us have heard highly skilled outside lawyers or in-house clients say they won’t ever agree to arbitrate as a matter of policy, based on a bad experience with a mismanaged arbitration, a belief that arbitrators merely split the baby, or a hatred of giving up appeals? “As a result of this view, these executives have preferentially consigned complex disputes to horrendously overworked trial judges who can’t set the case for trial for many years and may hand the case to someone else for trial, and to juries that likely won’t understand the issues in sophisticated ways. “Why don’t they consider it indisputable that they would have a better prospect of avoiding unwarranted results by instead selecting highly experienced arbitrators who would carefully study the record, responsibly streamline the process, and understand the most complex issues far better than the judge will likely have time or the jury will likely have capacity to do? “These questions aren’t offered to criticize any participants in the dispute process–a litigation is a profound human experience, and it’s usually extremely important to both parties to aim for an outright win and view that outcome as the only tolerable one. There are often highly creditworthy institutional or personal reasons for parties to a litigation to fight to a final decision rather than press for the earliest possible resolution. “The more modest point is that further advancement of ADR will require a continuation of the evolution of cultural sensibilities–and, ultimately, the wills of disputing parties and the perspectives of their most trusted advisers–that have already advanced mediation and other forms of ADR from a position of near-institutional invisibility a few decades ago. “Although, as many of you in today’s audience know, it has always existed in families, communities and some kinds of institutions where disputes needed to be resolved. “So what is the next wave of ADR sensibilities that folks at CPR, JAMS, the [New York City Bar Association] and this and other organizations are thinking about? “Maybe we aren’t too far away from the time when the pursuit of negotiated resolutions stops getting postponed for long periods because each side is unwilling to make the first overture out of a belief that introducing the subject is a sign of weakness that will cost big settlement dollars. “Maybe others will emulate the Fortune 100 in-house head of litigation who recently addressed his company’s nine-digit annual litigation spend, and overwhelmingly directed to disputes with his enterprise’s biggest competitors by setting up a monthly lunch with his counterparts at each of those competitors–a step that led to a wide range of different forms of alternatives to litigation for resolving disputes, and a massive reduction in dispute-related costs. “We have been seeing mandatory mediation or streamlined arbitration clauses in contracts and in some court rules for the past decade or two. Maybe we will increasingly see settlements actually get reached as a result of those provisions, to a degree that alternatives to litigation like these will become a matter of reflex–not only for parties that need to continue doing business with each other but also for other counter-parties that hate the pain and distraction of protracted litigation almost as much as its cost. “Maybe, in contexts where neither party sees a major advantage in a jury trial, clients will increasingly come to value and hire lawyers in part based on their nimbleness in figuring out and working with their adversaries on ways to resolve the dispute more quickly and less expensively. “Some recent experiences of mine–one with some really good in-house lawyers at a client who ultimately redirected their company’s business strategy based on a rigorous and candid pre-litigation assessment of a massive and complicated dispute in which no complaint was ever filed, and another matter with an unusually resourceful and pragmatic adversary where the parties found themselves litigating a billion dollar dispute under a contract provision requiring that arbitration hearings conclude no more than 45 days after they were initiated–have strongly suggested to me that these kinds of thoughts about improving the process for resolving disputes do not necessarily involve looking generations into the future. “That kind of second-wave thinking about ADR will not eliminate the need to litigate when one or both parties feel a need for the litigation process or a determination to get to a decision, win or lose, and it will not put litigators out of a job, because there will always be disputes. “Lawyers who think creatively about different ways to help their clients resolve disputes, and who have the capacity to pursue ADR as effectively as they pursue traditional litigation, should remain in great demand. CPR is happy to present the latest installment of “The Neutral’s Notepad,” in which members of our esteemed panel of neutrals contribute their thoughts on developments and best practices in dispute resolution. Which dispute resolution technique should parties and their counsel use in the courthouse or conference room of the future? That was the question with which I concluded my last column. The short answer is the classic lawyer’s response – it depends! The decision to utilize ADR and even the choice of which ADR technique to employ is often made by a business client who thinking he or she is saving money unknowingly at his or her peril includes a “form” dispute resolution clause in its commercial documents in an attempt to anticipate problems which might arise in the transaction and/or business or professional relationship. That “form” dispute resolution clause is often pulled from a book which should be titled “Dispute Resolution Clauses For Dummies” and prepared without the assistance of counsel. This usually means it is included in the contract without a full understanding of its ramifications. A poorly conceived and drafted dispute resolution clause in a contract can wreak havoc on the operations and finances of even the better run business organizations. This is true even when counsel is involved. I have observed countless cases as a judge and now as a private mediator and arbitrator where the dispute resolution clause was drafted by a primarily transactional lawyer obviously without consulting the litigator perhaps in the same office who ultimately would have to work within the confines of the language in the clause if a dispute arose. This inevitably puts the client in an unnecessarily exposed position. Business cases, labor disputes, buy-sell agreements, franchise agreements, and particularly employment disputes to name only a few types of cases arise in many contexts that have not been anticipated and for that reason are not governed by the dispute resolution clause inserted in a contract without much thought. These claims and the defenses to them each carry a unique potential for their own narrative which can develop into drama in the hands of capable litigators, parties, and witnesses in a forum that favors such a presentation. Therefore, it would behoove the prudent business or individual client and his or her careful and thoughtful transactional lawyer after consultation with the experienced litigator down the hall to think about the choice of dispute resolution mechanisms and providers before typing and pressing the print key on the desktop to insert the final version in their contract. That means it is wise to keep in mind how the client and any witnesses are likely to present before different types of audiences. Will they naturally make a good impression on a judge or jury. If not, then an arbitration perhaps preceded by a mediation probably is a better choice because it would be easier to guide clients and witnesses in these more intimate and less formal ADR settings than in a courtroom. The consequences of not being careful or not being able to visualize how a particular dispute resolution protocol and provider would play out in the future have recently become much more apparent as what has been labeled the “Deflategate” case has played out on the national stage. As a result of allegations that New England Patriot Quarterback Tom Brady ordered/aided/abetted the deflating of one or more footballs in the Patriots playoff game with the Seattle Seahawks, the arbitration provision negotiated by the NFL Players Association with the NFL became operational. This resulted in a proceeding before Arbitration Commissioner Roger Goodell who arguably was arbitrary and capricious in the conduct of the arbitration hearing and the imposition of a 4-game suspension on Brady. That was the view of U.S. District Court Judge Richard M. Berman who nullified the suspension on the grounds that the conduct of the arbitration albeit arguably allowed under the arbitration provision of the collective bargaining agreement was unfair and therefore nullified it. That ruling was reversed by a Three Judge Panel of the U.S. Court of Appeals for the 2nd Circuit who held that “The Commissioner properly exercised his broad discretion under the collective bargaining agreement and that his procedural rulings were properly grounded in that agreement and did not deprive Brady of fundamental fairness”. This latest ruling by a divided Panel of the 2nd Circuit (2-1) basically sent the message subject to a successful appeal to the full 2nd Circuit and/or the U.S. Supreme Court that if you aren’t careful and agree to a private arbitral procedure and/or provider which results in an unfair proceeding and result you’re bound by what you agreed to. So Buyer Beware – you make an uncomfortable arbitral bed with a headboard/Arbitrator who is unfair – you lie in it! This post is reprinted with permission from “A Pursuit of Justice,” a blog by Judge Steven I. Platt (Ret.) that focuses on the intersection of law, economics, politics and the development of public policy. Judge Platt currently owns and operates his own private Alternative Dispute Resolution Company, The Platt Group, Inc. through which several retired judges and experienced practitioners offer mediation, arbitration and neutral case evaluation services to business, governmental agencies and their lawyers mostly in complex litigation and disputes. Judge Platt’s experience and vocation make him an expert in conflict resolution particularly in complex disputes whether they are political, economic, legal, or as most often the case all of the above. Judge Platt can be reached at info@apursuitofjustice.com. The end game in arbitrations is the final award. In most business-to-business commercial arbitrations, the final award is a reasoned explanation of the facts and law, and the relief being awarded. Since most arbitration awards are confidential, the audience for the written award is the parties and if subject to a review, the courts. What should be considered in writing an award that will withstand their scrutiny? The first consideration is the title of the award. How the award is labeled is important and has consequences. If it is titled an “Interim Award,” its duration should be no longer than the arbitration itself and it should be entitled to reconsideration at any time before the final award is entered. If it is a “Partial Final Award” – such as a finding as to liability only – it generally would not be subject to a reconsideration and may be appealable to the courts unless the tribunal indicates otherwise. The tribunal should make its intention clear as to whether it intends for the award to be judicially reviewable at that stage or not. If it is a “Final Award,” the assumption is the tribunal has completed its task and the award is subject to enforcement or judicial review. The tribunal’s authority is over at that point. Once the award has been labeled properly, the next step in preparing the award is to identify the parties and their status. This may seem obvious, but the issues and the relief may depend upon which party is raising a claim or defense. With the frequency of counterclaims, characterizing who is bringing the claim and the relief sought becomes an important point in the analysis. Most arbitrators then like to proceed with a factual and procedural background to set the framework for the issues and analysis. This certainly makes sense, but first it may be helpful to consider the issues that you are going to be resolving. The issues really control the findings and facts which are necessary to recite in the award. What facts are material to the issues will become more evident once you have articulated the issues being decided. Most arbitrators then set forth the procedural history by identifying what has occurred prior to the hearing. This section is really more for reviewing courts than for the parties because the parties know what has transpired. But is important for someone new to the arbitration to understand that the parties had an ample opportunity to engage in discovery, make their arguments, submit their exhibits and have their witnesses heard and examined. Some of the grounds for vacatur are based upon whether the parties had a fair and meaningful opportunity to present their case, so spelling out in detail how the arbitration progressed lends credence to the award. Then the crux of the award follows with the statement of the issues that the parties are raising and how they are decided. It is critical that a party understands that the tribunal understood what issues they were raising. The tribunal may not agree with a party’s position on a given issue, but both for the purposes of confidence in the award and its possible reviewability, every material issue that was raised should be identified and ruled upon. A “sweeper” clause that issues not identified were fully considered (a clause I have used myself at times) is not generally satisfactory to the parties or to reviewing courts. The tribunal’s ruling on the merits of the issue is really secondary to the fact that the issues were properly identified. Next is the analysis of the material issues and the reasoning behind the conclusions reached. Each conclusion should be supported by a logical interpretation of the facts and law. References to case law are not always necessary but if there are statutes or authorities on given issues that the parties have relied upon, some reference to them in the award will at least signal that they were considered. Most tribunals are both very measured in their analysis of the issues and not unduly critical of a party’s position. Arguments made by the parties are generally made in good faith and, even if you disagree with them, they should be treated with the same measure of good faith. Last but not least, the award should specify the relief being afforded. It is a good practice to have the parties in the prehearing briefs state specifically the relief they are seeking in the claims or counterclaims. Sometimes an earlier filed claim is not clear as to what relief the party is seeking, and the relief sought may change as the discovery in the arbitration unfolds. So a delineation in the prehearing brief of the issues and the relief sought is very helpful to the tribunal. After considering the specific relief requested, it is a good idea to review the arbitration agreement again to determine whether it has any limits on what relief can be given. Limits on punitive damages in particular are frequently included in the arbitration agreement. Other limitations may include a bar on consequential damages or attorneys fees. Finally, do a gut check on what final relief should be ordered. Is it warranted by the facts in the law? Are you compromising the award because you do not agree with the law? Is it what the parties expect? Before you pull the trigger, you want to make sure your aim is on what the arbitration agreement contemplates and more importantly, requires. In conclusion, each step in writing the award from the title to the relief must be carefully considered. The result is sometimes not as important as the process achieving it. Make sure the award informs parties and the courts as to how you arrived at it. 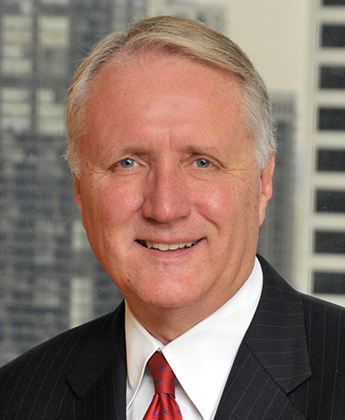 Tim Eaton is a Fellow of the College of Commercial Arbitrators and a member of the CPR Panel of Distinguished Neutral Arbitrators in Chicago. He is a member of the National Academy of Distinguished Neutrals and a member of the American Arbitration Association’s Roster of Commercial Arbitrators. He has lectured and written on arbitration topics. He is a litigation partner at the law firm of Taft, Stettinius & Hollister. With this post, The CPR Institute introduces a new “CPR Speaks” series feature in which members of our esteemed panel of neutrals will periodically contribute their thoughts on developments and best practices in dispute resolution. One technique for creating efficiencies in arbitration is submitting the direct testimony of fact witnesses in writing rather than orally. Written witness statements provide detailed testimony a witness would offer (including references to relevant documents) if questioned live. The written testimony is signed by the witness, its truth and accuracy is sworn to or affirmed, and the statements are exchanged in advance of the hearing. Each witness providing a written statement appears at the hearing for cross-examination by opposing counsel and questioning by the tribunal. Written witness statements can afford material advantages in arbitration. For example, as lengthy oral testimony becomes unnecessary, written testimony can save days or even weeks (in a complex case). Exchanging witness statements in advance also permits opposing counsel to prepare fully for cross-examination. In fact, exchanging witness testimony prior to hearing permits all of the participants in the hearing—counsel and arbitrators alike—to focus before hearing on the key issues in dispute, formulate pertinent questions for the witness, and conduct a more efficient and streamlined proceeding. Moreover, witness statements can obviate or lessen the need for depositions since opposing counsel will have advanced notice of a witness’ direct testimony. Finally, written statements can serve an important fact-finding function when depositions are disallowed or limited to key witnesses. Why are written witness statements so common in international arbitration, but not as prevalent in U.S. domestic arbitration? Some U.S. counsel and arbitrators may be unfamiliar with the technique, particularly if they serve exclusively in U.S. domestic proceedings where oral testimony is the norm. Others may believe that drawbacks associated with witness statements outweigh the advantages. For example, some may feel that lawyers draft witness statements and the testimony therefore is not as spontaneous or genuine as when a witness testifies live. A witness also might rely too heavily on the lawyer and not review the testimony carefully or completely. However, when preparing witnesses for oral testimony, attorneys also typically assist and invite them to rehearse their hearing presentations. Attorneys have a duty to admonish witnesses concerning the truth and accuracy of their testimony—whether they testify orally or in writing—and to highlight the need to defend the testimony under cross-examination and arbitrator questioning. Witnesses also sign and/or swear or attest to their written testimony, and such formalities signal that witness statements need to be truthful and accurate and not approached in a careless manner. Another potential concern about written versus oral direct testimony is that the tribunal’s first exposure to the witness would be on cross-examination. No lawyer wants arbitrators to observe a witness initially in a defensive posture under questioning by opposing counsel. This concern can be addressed by permitting counsel offering the witness to conduct a brief direct examination (e.g., 15 to 30 minutes), depending on the nature and size of the testimony and the case. This lets the tribunal hear from the witness in his or her own words. Such abbreviated direct examination could include background information on the witness and/or a summary of key aspects of the witness’ written testimony. This direct testimony should be relatively brief so as not to frustrate a fundamental purpose for using written witness statements, i.e., to achieve efficiency and cost-savings. A final potential concern is that using written statements prevents arbitrators from evaluating a witness’ credibility on direct examination. There normally are sufficient opportunities for a tribunal to assess witness credibility other than on direct examination—most critically during cross-examination, but also on re-direct, and during questioning by the tribunal as well. Moreover, permitting an abbreviated direct exam before a witness is cross-examined, as discussed above, affords yet another window for arbitrators to assess witness credibility. Granted, written witness statements may not be an optimal solution for every witness or in every case. For example, where believability of a key witness or witnesses may influence the outcome in an arbitration, presenting the witness’ direct testimony live may be preferable to using a written witness statement. Additionally, any decision to present the direct testimony of fact witnesses in written or oral form ultimately should reside with the parties and counsel. Arbitration still is a creature of party agreement, and arbitrators in U.S. domestic arbitration should never compel the use of one technique over the other. Arbitrators should encourage written witness statements where appropriate and highlight the benefits surrounding their use. Including witness statements as an item on the preliminary hearing agenda, and having an open discussion of the pros and cons during the preliminary hearing itself, can expose the technique to counsel otherwise unfamiliar with it. Arbitrators should condition the use of written direct testimony on the witness’s attendance at hearing for cross-examination and questioning by the tribunal (unless all parties and the tribunal agree to waive a witness’ appearance). Cross-examination of witnesses generally is considered a fundamental right in the U.S. (and in other common law jurisdictions) and this right should be safeguarded when written witness statements are used. Arbitrators should permit sponsoring counsel to question the witness briefly on direct examination (e.g., to summarize key points) so the witness can “warm to the seat” before being turned over for cross-examination. This procedure lets the witness become comfortable in the arbitral setting and also allows the tribunal to observe witness credibility (albeit briefly) on direct examination. U.S. arbitrators should review witness statements in preparation for the hearing, listen attentively during examination by counsel and, if appropriate, pose follow-up questions to the witness to clarify relevant facts, gain insight as to witness credibility, or achieve a better understanding of the case. In conclusion, greater reflection and dialogue on written witness statements should give U.S. counsel and arbitrators an enhanced appreciation for their use in U.S. domestic arbitration. U.S. arbitration proceedings would surely benefit from this development. Raymond Bender is a full-time commercial Arbitrator in domestic and international disputes. He is a member of the CPR Panel of Distinguished Neutral Arbitrators for Washington, D.C., Technology, and Cross-Border Disputes; the American Arbitration Association’s Roster of Commercial Arbitrators for Washington, D.C., Technology, and Large, Complex Cases; the International Center for Dispute Resolution (ICDR) Panel of International Arbitrators; and the Silicon Valley Arbitration and Mediation Center’s List of the World’s Leading Technology Neutrals. He also has served in International Chamber of Commerce (ICC) and ad hoc arbitrations. Mr. Bender is an Adjunct Professor at the Washington College of Law, American University, Washington D.C., where he teaches Alternative Dispute Resolution Law, and serves on the Arbitration Faculty of the International Law Institute.